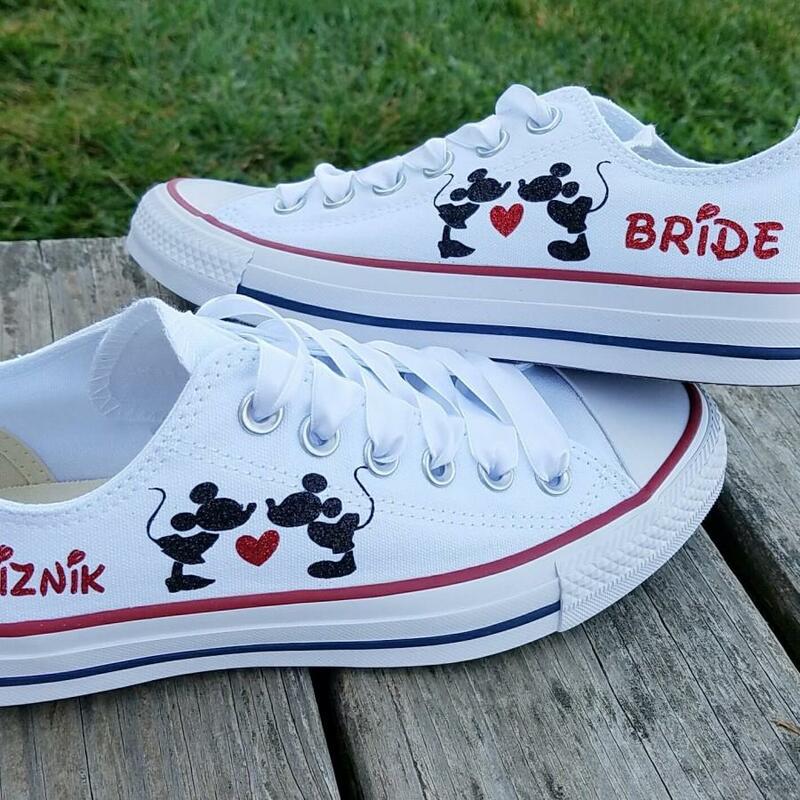 White Converse shoes with kissing Mickey and Minnie in black glitter, red glitter heart, red glitter name, whatever wording you'd like on each shoe. Date up the back or the word "bride", you design! So unique and adorable. PLEASE know your size in Converse BEFORE you order as I don't accept changes once the order is placed. Feel free to contact me with any questions before ordering. I reply very quickly!